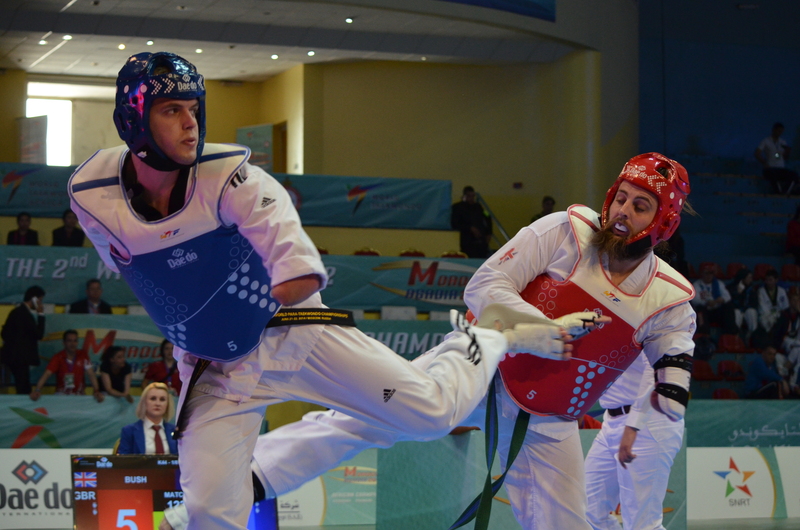 African athletes used last month’s African Open in Agadir, Morocco to make an impact on Para taekwondo’s world rankings for April. Host Morocco paced an African haul of 15 medals (4 gold, 3 silver, 8 bronze) in a tournament that saw nearly 100 fighters from 27 countries. Cameroon, Central African Republic, Thailand, and Tunisia all made their debuts. The African Open is G-4 / G-2 event, meaning that African athletes earned double ranking points. Perhaps no one took advantage of the home court more than Morocco’s world No. 2 Rajae Akermach (o58 K44). She finally bested Great Britain’s world champion Amy Truesdale – who went undefeated in 2017 – in a thrilling finale to close the rankings gap by nearly 30 points. Compatriot Rachid Ismaili Alaoui (u75 K44) used his gold medal to move to No. 3 in the rankings, while Morocco’s 2009 world champion Abdennour El Fedayni (u61 K41) remains No. 2 after falling in a hard-fought finale to Ethiopia’s Mekonnen Grima, who moves to world No. 5. One of the biggest movers in this month’s rankings is Niger’s Ismael Oumarou Gouzae (u75 K44), who jumps 11 positions to No. 17 after his breakout performance in Morocco. The young fighter used an unusual style to get past the No. 3, No. 4, and No. 11-ranked fighters in the world on his way to a silver medal. With the ambitious goal of qualifying athletes in all six divisions that will compete for medals at the 2020 Paralympic Games in Tokyo, Turkey saw impressive performances from many of its top fighters. Turkey’s No. 5-ranked Gamze Gurdal knocked off the No. 2 and No. 3-ranked fighters in the world on her way to gold to close the gap in the u58 K44 division, while Mahmut Bozteke topped all comers in the competitive men’s u61 K44 division to solidify his No. 2 ranking. Turkey’s Meryem Betul Cavdar is still ranked No. 2 after falling to Russia’s No. 9-ranked Anna Poddubskaia by golden point in the u49 K44 final. France’s No. 1-ranked Bopha Kong topped Spain’s No. 2-ranked Alejandro Vidal Alvarez to increase his lead in the u61 K43 rankings, while the USA’s No. 3-ranked Evan Medell held on to get past Croatia’s No. 1-ranked Ivan Mikulic to close the gap in the o75 K44 group. Den Budsabong gave Thailand a moment to remember in the country’s first international tournament by getting past Iran’s No. 15-ranked Mohammedreza Shabani in the u75 K42 group. He enters the world rankings at No. 12. 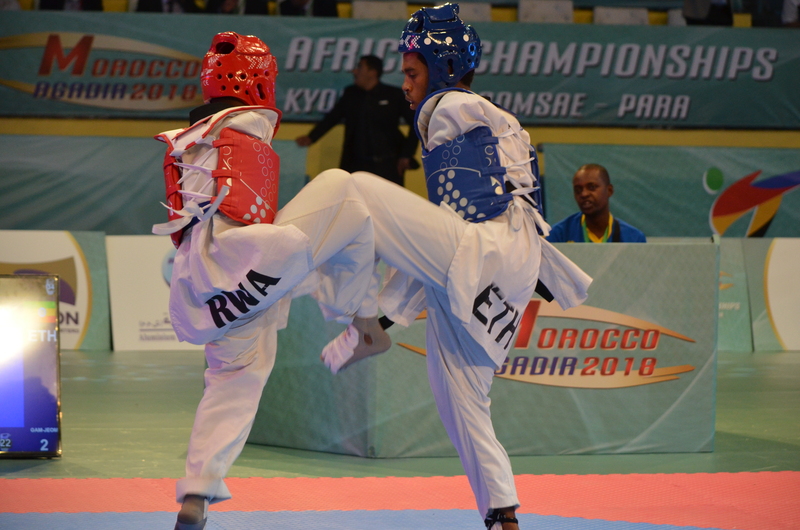 “Para taekwondo is growing very rapidly in Africa”, World Taekwondo Africa President Gen. Ahmed Fouly tells the IPC. “The increase in participation is great, yet we get the feeling that we have only begun to scratch the surface.